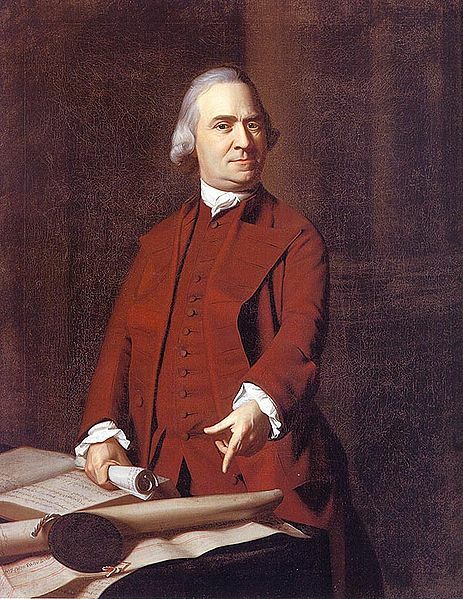 Sam Adams was a member of the Sons of Liberty. The Sons of Liberty was a group of secret societies organized in the American Colonies to protest British colonial policy prior to the American Revolution. The first chapters were organized in 1765 in New York and Massachusetts to protest the Stamp Act. The groups derived their name from a speech made in Parliament by Isaac Barré in 1765. During his speech, Barré referred to the royal governors in the colonies as “men whose behavior on many occasions had caused the blood of those sons of liberty to recoil within them.” The Sons of Liberty expressed their displeasure with the Stamp Act and, later, the Tea Act by distributing correspondence within the colonies and through numerous publications. The groups also sponsored public demonstrations, which sometimes turned violent. The radical nature of these demonstrations was instrumental in polarizing relations between Great Britain and the American Colonies, ultimately resulting in the American Revolution.